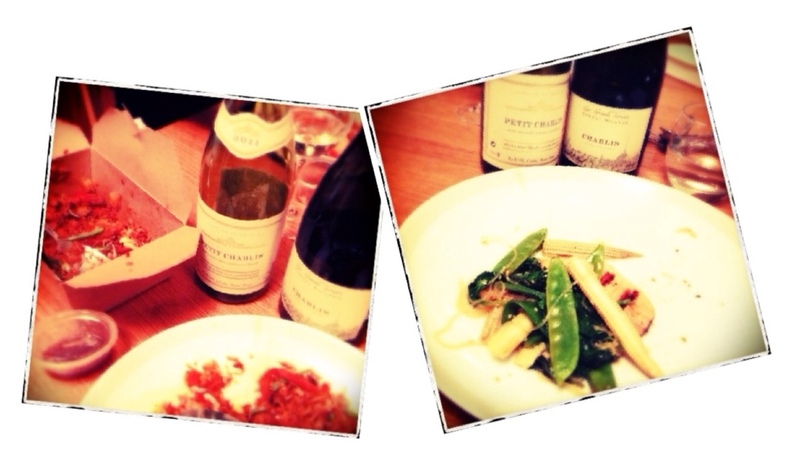 An interesting proposition – a blogger’s challenge, to match Chablis with takeaway food. I would be sent two bottles to try and to see if I can find a suitable match. I was reminded of the furore a few years ago when Lanson suggested that Champagne would be a great match with fish and chips, illustrating the idea with a cheerful couple enjoying their newspaper-wrapped meal on a beach at dusk. The Lanson advertisement did help in debunking the idea that Champagne was only for special occasions, and that I suppose is the idea behind the quest to match Chablis with a takeaway. Two bottles of Chablis duly arrived so I looked into the idea of a beach tryst, similar to Lanson, particularly as I always find fish is complemented so well by Chablis. 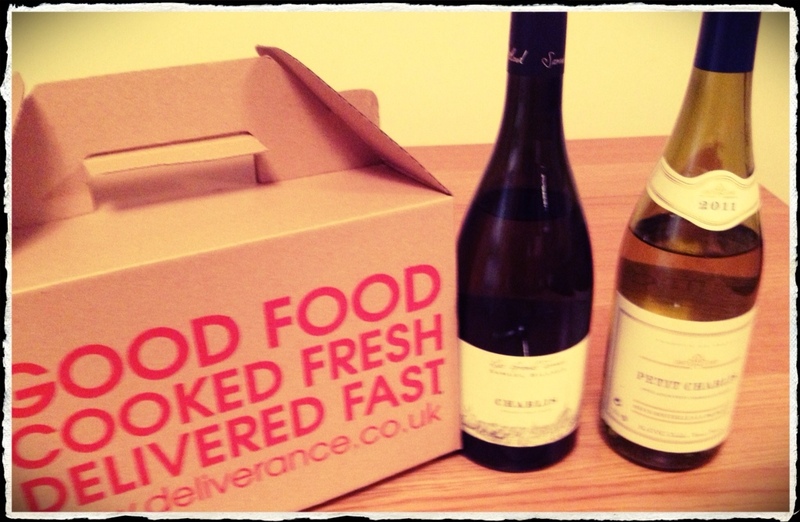 Instead we thought we would try our northern Burgundy Chardonnays with a takeaway from Deliverance, the London company who offer a variety of dishes from different countries. Order placed, we tasted the wines as we waited for the delivery. Palest gold. Lemony with coriander leaf; dry, good acidity, lemony, medium-bodied, medium finish. Produced by the Union des Viticulteurs de Chablis, which is a cooperative of 250 producers who together farm more than 1,200 hectares all over the Chablis region. 22% of their production is Petit Chablis, an appellation covering vineyards on the edge of the region, a good source of less expensive wine but with less expression too. Greeny gold. Pears, creamy spice; dry, bright acidity, greengages, lemon rind, plump, ripe – long finish. 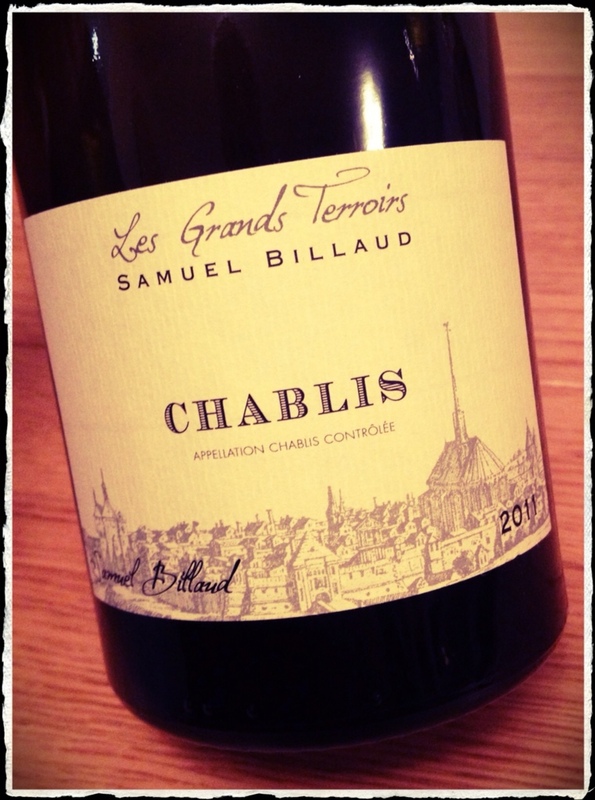 From a Chablis family, the talented Samuel Billaud set up on his own in 2009 sourcing grapes to make a range of Chablis wines under his own personal label. Available from The Wine Society £10.99. 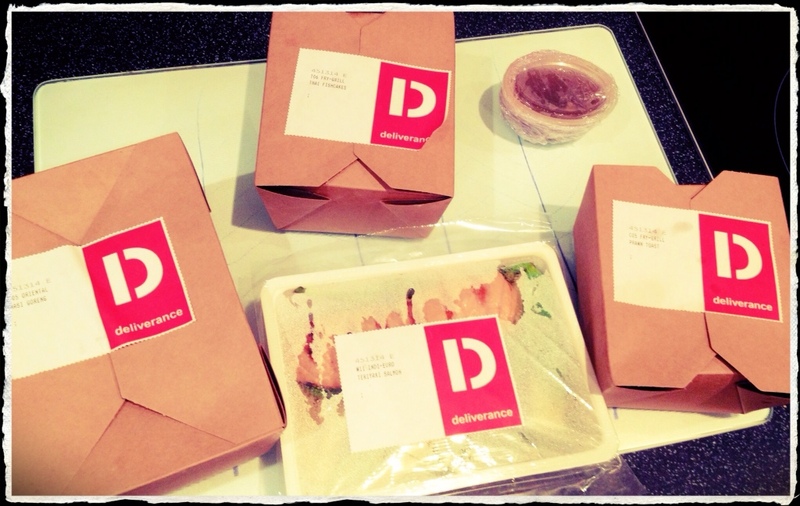 1x SESAME PRAWN TOAST with chilli sauce (6) – in fact only 4 delivered, but that was enough! Fortunately nothing was very spicy as the heat would have annihilated the wines. As it was the weightier and more complex of the wines, the Billaud Chablis was the one to shine with the two starters and the Nasi Goreng, the hottest of the dishes. The simpler flavours of the Petit Chablis went best with the Japanese Teriyaki Salmon, perhaps due to the slightly sweeter, but less spicy sauce. 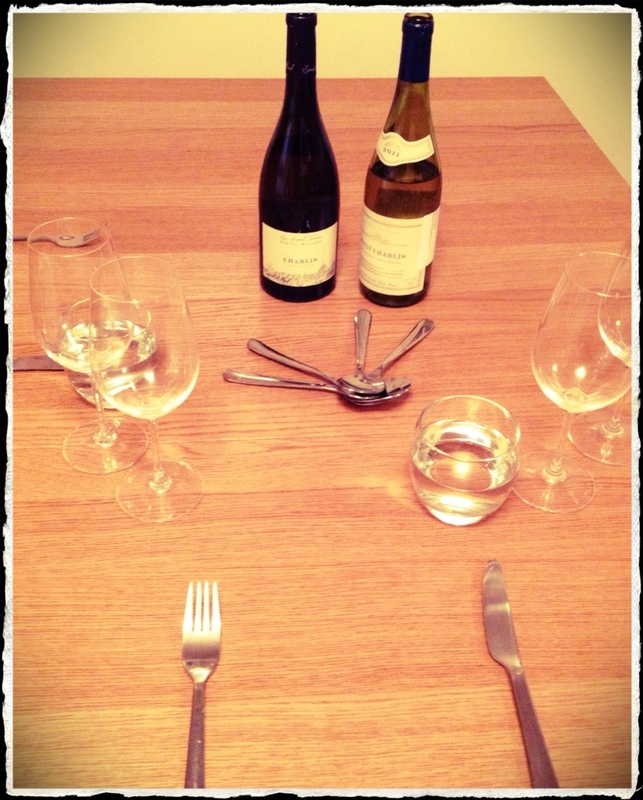 So this foodie experiment showed us that Chablis can be enjoyed with takeaway food, but dishes that are not over-spiced or too rich. And the better the Chablis, the more enjoyable the match. Which is why we shall give it another try with a journey to the coast to savour Chablis with fish, on a beach! This entry was posted in Blogging, Food, Wine, Wine Blog and tagged Chablis, Company Shed, Deliverance, Lanson, Takeaway by Brett, the Wine Maestro. Bookmark the permalink. an interesting experiment – out here in the countryside we sadly don’t have the luxury of such delivery companies and thus have to stick with walking to the outlets – curry, Thai, Pizza and F&C. 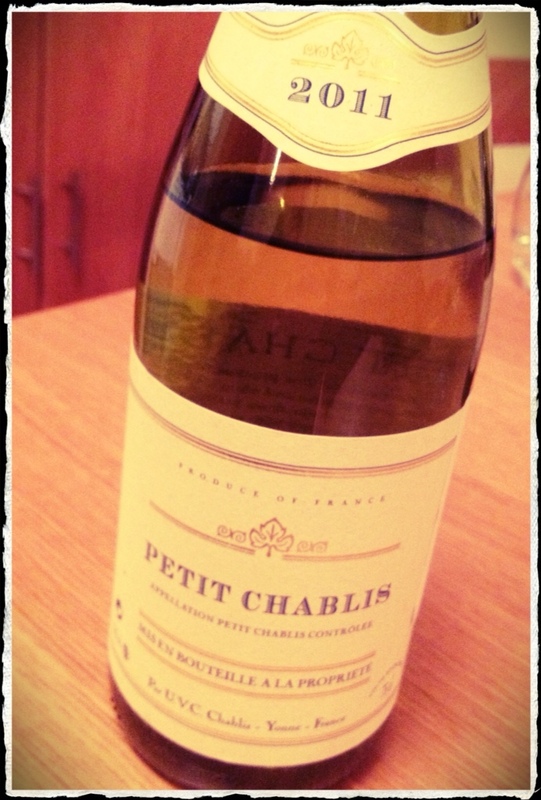 I like champagne with fish and chips and can see the Chablis working too – what do you think? Thanks for your comment though surprised to hear that Domino’s don’t deliver to you… And, yes, Chablis would be great with good fish and chips!